Step by step guidance on resolving bullying, harassment or sexual harassment issues in the workplace. Informal resolution such as facilitation and conflict resolution approaches. Get independent investigation and reviews or advise on how to conduct the process. The importance of internal processes and fair procedures in handling bullying or harassment in the workplace cannot be overstated. Recent cases demonstrate that this is a very difficult area and one that is fraught with danger from an employers’ perspective. 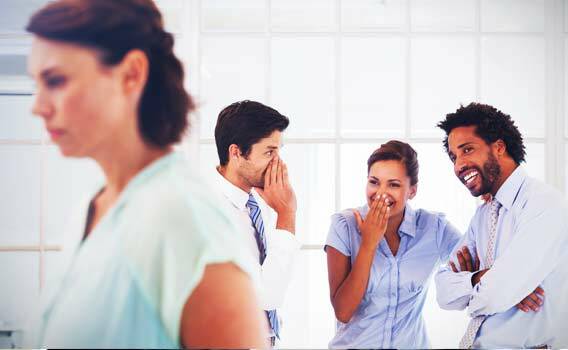 It is important that employers are proactive in promoting a healthy workplace culture that is free from bullying, harassment or sexual harassment, and establish a zero tolerance culture in this area. It is also important that employers protect their business interests when a complaint of bullying, harassment or sexual harassment has arisen, whilst ensuring that they are acting in line with HR best practice and in compliance with the law. Informal resolution of issues, as well facilitation, and conflict resolution methods, can be employed to seek to bring the matter to a resolution in the least difficult way possible for all concerned. Mediation, which is voluntary, may also be utilised. Where these approaches do not work, or where the matter requires a different approach, a formal investigation into bullying, harassment or sexual harassment in the workplace may be instigated. To obtain step-by-step guidance on how to address issues informally and through facilitation and conflict resolution methods which may resolve the matter, contact us. In some cases, a formal investigation may be required, and it may be necessary to have an external party such as ourselves conduct an independent third party investigation into alleged bullying, harassment, or sexual harassment in the workplace. Please contact us for more information. We can lead and manage the bullying, harassment or sexual harassment investigation, the appeal or review process or we can assist as an independent party combined with internal organisation resources such as HR or senior leaders. Our methodology provides assurances to the employer and employee that a comprehensive, independent analysis of the issues will be conducted, and procedure will be followed which is compliant with employment law, best-practice and the policies of the organisation. Our team can assure employers that such investigations or appeals/reviews will be completed independently and professionally, and within a quick and reasonable timeframe, in the interests of all the parties concerned. In addition, our team are skilled in several approaches which can aid an informal resolution, and we believe that in many instances it is appropriate to explore those options to find a lasting resolution in the easiest manner for all concerned where possible. We provide advice and guidance on the proper procedure for conducting Investigations, Hearings and Appeals or we can lead and conduct investigations, hearings and appeals where you may require external, independent, expertise. Click also on Disciplinary/Dismissal Procedures and Bullying Procedures for more information. If you are an employer and have any questions about Investigations, Hearings or Appeals, please contact your CollierBroderick HR Advisor, call us on 01 8666426, contact us, or email us on enquiries@collierbroderick.ie.